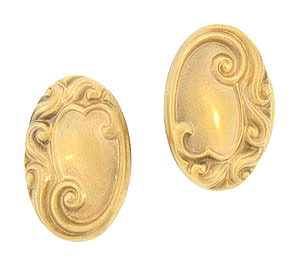 These elegant Art Nouveau cufflinks are fashioned of 14K yellow gold and decorated with an elaborate array of curling organic figures. 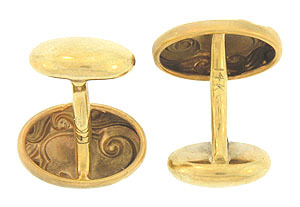 The antique cuff links measure 11/16 x 1/2". Circa: 1915.